Into the summer we go! At once and the same time a bustling of energy and relaxing with opportunities and intentions for leisure and play The sky is benevolent with the completion of a rare 5 pointed star transit of Venus and on June 5 the planet moves between the earth and the sun, astronomically beautiful and astrologically filled with celestial force and energies purported to be very beneficial to us. If you are interested you can access much ado about the topic of "venus conjuncting the sun" or "venus transit" or "venus eclipse".“We are the stuff that stars are made of”. Venus is the planet associated with the heart chakra. As you know our society is plagued with heart disease. The ticker is a very resilient organ and will beat several billion times in a lifetime. But the heart suffers because it is deprived of its job and gets an ongoing beating.You can have the heart of a lion. Let your heart be a courageous one..(cour translates to heart in French!) A courageous heart is a compassionate one. A compassionate heart is the strongest of all. 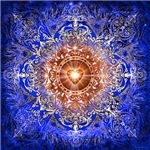 There is a large portion of the mind that experiences everything and everyone in concert with the heart. In relationship to “other” the human requirement is to come into your heart and realize that the other and your self are fellow or fellowette human beings. Apart from all that stands between you and makes you different, just by being human you have much more in common. Human beings strive to be happy. Human beings need acceptance and assurance, need nourishment and rest, need confirmation and affirmation, humans need the relatedness of other human beings. If you have all these then you are most likely one who is giving these to others. Dharma is the path of cultivating humility without humiliation whatever your role in life may be. When your pride and ego dominate such as when you want to retaliate, that is karma.When humiliation does come on your life path accept this as an opportunity for learning. When others are mean spirited towards you, your challenge is to not take it so personally and hold the space for peace.This is a true seva. To serve and uplift the other, to make contribution to another's life is a true seva. If someone has a completely different point of view and is all upset because you disagree just relax. And relax if you disagree. The best is to share views and try to see an issue by standing for at least a moment in that one's shoes, trying to understand how they arrived at the sense or nonsense of it. Consider if you wore those shoes and journeyed under the influence of those same circumstances and environments you might see things and act in the same way. It is not easy to give happiness to everyone. But you can project this from your mind's eye and heart for them and then go on your own way. Why tarry long enough to get yourself hot under the collar? A person has to come into his or her own happiness really. Anything outside of you that you depend on for your personal happiness is limited. Flowers remind me of this. They are so magnificent but only briefly and then there they go! With an investment in perennials hold an attitude of gratitude for them. Happiness is enjoyable and perennial in moments or a day that comes back around when you remember how much you like this such and such or this so and so. Lots of things are like that and we call this ephemeral happiness. It is fleeting and sadly so if you have invested too much into what you expect it to do for you. At most you have about 3 months max to be continuously happy about having attained something external. That’s because happiness is inside in the heart. That is the only place you can abide in an enduring happiness. Happiness is happiest in the happiness of others.